ASTANA -- Kazakh authorities are maintaining a watchful eye on suspected extremists and have arrested a man believed to be the leader of a homegrown terrorist group with ties to the "Islamic State" (IS). The man, a 29-year-old resident of Satbayev, Karaganda Province, had supported a fringe Islamic movement since 2015 and had attempted to launch his own terrorist group, Tengri News reported January 29. Kazakh security forces arrested him and a 20-year-old accomplice that he recruited in a plot to murder two police officers in Satbayev, according to authorities. As part of their plan, the suspects attempted to arm themselves and sought to learn how to make homemade explosives. The brother of one of the suspects is fighting in Syria for IS, the report said. The Specialised Inter-District Criminal Court of Karaganda Province sentenced the ringleader to 10 years in prison and his accomplice to eight years. The timing of the arrests and of the convictions was not reported. Kazakhs condemned the terrorists, with some even expressing dissatisfaction with the length of punishment. They vented their feelings online in reaction to the verdict. "They didn't give them enough", "Send them away for life", "Well done, National Security Committee!" were some of the comments posted to online stories of the verdict. The arrests and convictions come amid other efforts against suspected terrorists. The Kazakh National Security Committee (KNB) on January 10 detained six alleged IS militants suspected of plotting terrorist acts in Almaty. 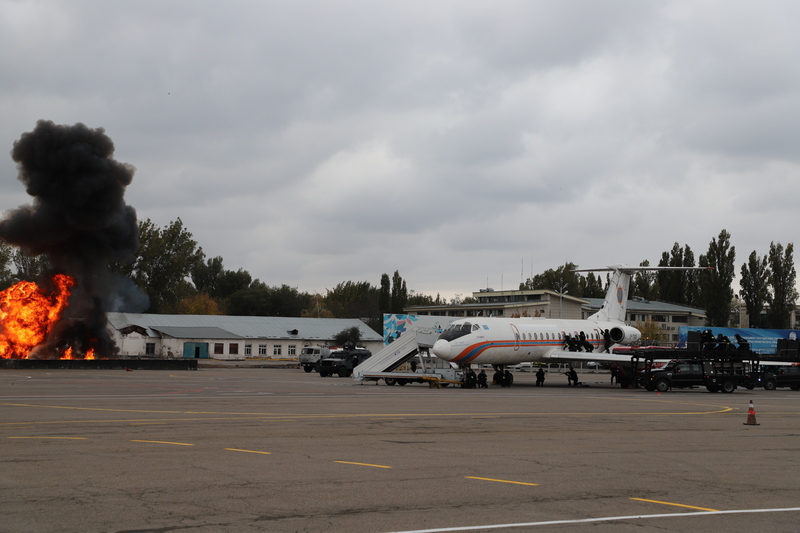 The suspects, all from other Central Asian countries, were plotting to make their own bombs and to commit terrorist acts in public places in Almaty, according to the KNB. Kazakhstan is in the orbit of international terrorist organisations, said KNB Deputy Chairman Nurgali Bilisbekov, referring to the arrests. He made his remarks during a meeting January 29 of the Kazakh senate's Committee on Foreign Relations, Defence and Security, zakon.kz reported. International terrorist organisations are now "re-orienting to wage guerrilla warfare in conflict zones, and, in effect, to trigger terrorist acts throughout the world", Bilisbekov said. Kazakh officials are also working to prevent the spread of violent extremist ideology. On January 24, police in Shymkent raided the Shymkent Tulpar and Nipa markets, where they seized extremist literature in searches of some of the retail outlets, zakon.kz reported. Meanwhile, the Spiritual Administration of Muslims of Kazakhstan (DUMK) is carrying out anti-radicalism work, having persuaded 518 radicalised Kazakhs to return to traditional Islam last year. Kazakhstan's security forces "are adequately assessing the situation and taking the necessary measures", according to Ruslan Seksenbayev, a political scientist from Taraz and director of the Beibit Aspan (Peaceful Sky) NGO. "We all remember Kazakhs' mood when terrorist acts occurred in 2016 in Aktobe and Almaty," he told Caravanserai. "Two terrorist attacks separated by a month shocked the country, and people were afraid that it would happen all the time," he said. "But the security forces are succeeding in preventing terrorist attacks, and this is enormous work that is invisible to citizens." "The threat of terrorism is openly discussed" at all public meetings and roundtables in Kazakhstan, he said. "The only thing that changes is the emphasis of the work being done, depending on the situation," he added. "Work is now under way to return our compatriots who, for various reasons, ended up in Syria. Some of them are out-and-out terrorists. Others have been deceived and regret their behaviour," he said. Counter-terror exercises and ongoing investigations are among Kazakhstan's efforts against terrorism. The operation brought home 47 Kazakh nationals -- including 11 women and 30 children -- from Syria, according to the government. 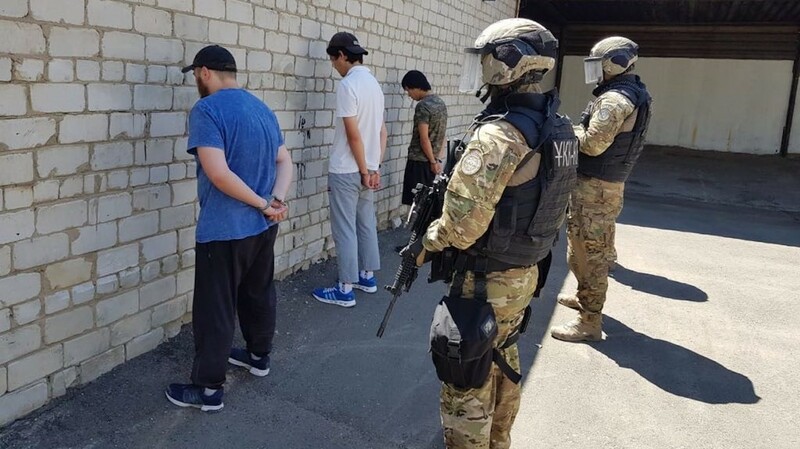 Authorities in Kazakhstan have identified several terrorist groups since the beginning of the year and have foiled a planned attack on military and police.